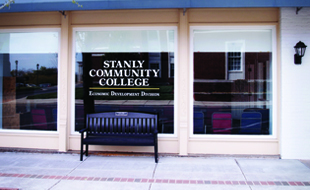 Stanly Community College's transfer degrees offer an economical and efficient way to work towards a bachelor's degree. The Associate in Arts degree is a good choice for future education, social science (history, psychology, sociology, economics, business, etc. ), liberal arts (languages, English, fine arts, etc.) majors, or a professional school that requires a strong liberal arts background. The mathematics and science requirements are fewer than for an Associate in Science degree. For most majors, if a student wishes to attend a university, the Associate in Arts degree is the best degree to pursue. UNC-system universities (and most private colleges and universities) will accept the completed AA degree as a package, which will waive the undergraduate general education requirements. Courses identified as Universal General Education Transfer Component courses (UGETC) will transfer to the UNC-system universities and receive course for course credit (provided students earn a C or better in these courses). Other courses marked for transfer may receive general education or elective credit. 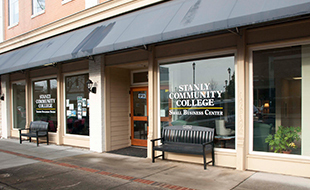 Some SCC courses may not meet general education core requirements. Therefore, students should work closely with their advisors when registering for courses and planning their futures. If a student has an Associate in Arts (A.A.) degree and at least a 2.0 grade point average, he or she will be considered for transfer by the senior institution. If the student meets minimum admission requirements for the UNC System, he or she may transfer before completing the A.A. degree; however, completing the A.A. degree with at least a 2.0 grade point average will increase transferability to the student's college of choice. Associate in Arts students are required to have basic computer literacy and should take CIS 110 as an elective course. The Associate in Science degree is a good choice for future architecture, engineering, math, science (biology, chemistry, physics,etc.) or technical (computer science) majors. The College faculty and counseling staff will work closely with students to plan their transfer programs. 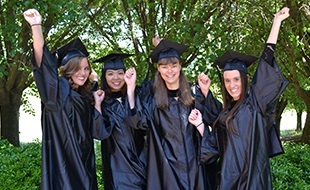 The courses in the program are designed to transfer to most private colleges and all colleges in the University of North Carolina System (senior institutions). Some SCC courses may not meet general education core requirements. Therefore, students should work closely with their advisors when registering for courses and planning their futures. If a student has an Associate in Science (A.S.) degree and at least a 2.0 grade point average, he or she will be considered for transfer by the senior institution. If the student meets minimum admission requirements for the UNC System, he or she may transfer before completing the A.S. degree; however, completing the A.S. degree with at least a 2.0 grade point average will increase transferability to the student's college of choice.